Across Chicago, 10,577 adult males were in correctional facilities at the time of the 2010 Census. Given this absence, in North Lawndale there are about 84 men for every 100 women in the primary parenting years of ages 20 to 39. This gap often leads to permanent or intermittent father absence, decreased family income, and a heavy reliance on grandparents for parenting. Research suggests there is a direct correlation between male incarceration rates and father absence in families. A study in the District of Columbia found that when the male incarceration rate of a neighborhood exceeds 2%, fathers are absent from over half of the families. The rate in North Lawndale was 1.2% at the time of the 2010 Census. The latest Census data show one aspect of crime and imprisonment among North Lawndale residents. A fuller picture emerges through other sources. According to AREA Chicago, that 12% of Illinois’ prison population comes from North Lawndale’s predominant 60624 zip code alone. Up to a third of North Lawndale residents may be locked up at any given time. The Chicago Metropolis 2020’s 2006 Crime and Justice Index reveals that nearly 6,000 of Illinois parolees live in the 60624 zip code. The report describes the significant impact on communities with large segments of their population imprisoned, particularly economic loss and chronic weakening of family and community ties. “If mass incarceration destabilizes a community to this point, it may actually contribute to higher crime rather than serve to control it,” the report says. What’s more, a high level of incarceration can take a harsh toll on children whose parents are imprisoned. They suffer economic and emotional stresses that alter their development and socialization. These children are six times more likely to be incarcerated at some point in their lives than those whose parents have not been imprisoned. 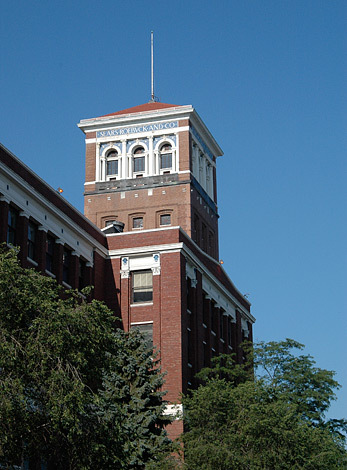 Information about North Lawndale comes from the 2010 U.S. Census and is extracted from the predominant community area ZIP code of 60624.